Obituary for Donna (Shelly) Barnes | Harold M. Zimmerman And Son Funeral Home Inc.
Donna (Shelly) Barnes, age 75, of Greencastle, PA passed away at her home Sunday evening November 18, 2018. Born July 20, 1943 in Mercersburg, PA, she was the daughter of Virginia (Shaffer) Shelly of Greencastle and the late Earl Shelly. She and her husband Ronald L. Barnes were married on September 1, 1963 in Lemasters, PA. Donna was employed for 2 years at the former Mercersburg Power Co., at the First National Bank of Greencastle for 36 years and at Barvinchack Chiropractic Clinic in Greencastle for 15 years. Mrs. Barnes was a member of the St. Paul’s United Church of Christ of Lemasters. She was a 1961 graduate of James Buchanan High School in Mercersburg. 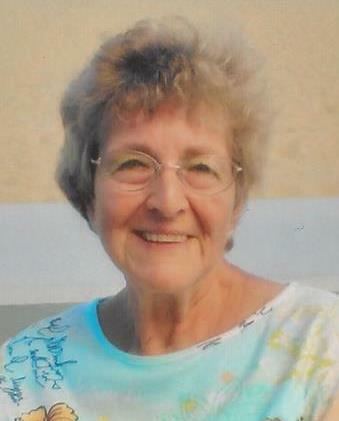 Her hobbies and interests included going to the beach, yard work, reading and spending time with her grandsons. Surviving family in addition to her mother and husband are two sons R. Curtis Barnes of Greencastle, Craig A. (Husband of Julie) Barnes of Alabama; two grandsons, Haven A. Barnes of Washington State and Noah A.J. Barnes of Alabama.